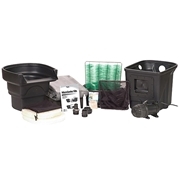 Pond Kits are very popular with our customers, because they provide you with all the equipment needed to make a beautiful backyard pond. 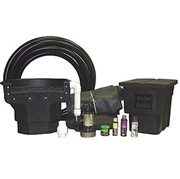 The components contained in each of our comprehensive water garden kits are perfectly matched to suit the size of the garden pond you want to create. If you are a beginner, our Happy Koi Pond Kits are easy to assemble and built to last. 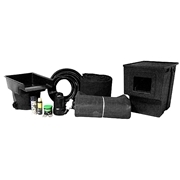 Each of our water garden kits - whether for a first time pond owner or someone looking to expand an existing pond - comes in a variety of sizes to meet your needs. Be sure to check out our article on where to build a pond to learn the basics about pond construction in your backyard. 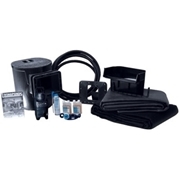 Find out why our popular pond kits are bought by so many homeowners. Browse our selection today.